11/5/2013 - I've explored an ability along these lines before, but it had a different focus. Overcharge was about gambling with excess mana for a chance at a free spell. Upgrade never gets you more, but it can get you something better. And there's no gambling because you'll never spend mana for no gain. Worst case, you've got some Grizzly Bears, but you've got a shot to cast an even bigger creature if there's one on top of your deck. Other colors would not be as efficient. My default colors for an effect like this would be green and blue. You can put this effect on any card type. It's kind of like cycling, except you'll end up using the original spell most of the time, even if you'd rather not. That's an argument for making it search for the first matching card type, but that's fiddlier, stronger, and significantly more abuseable. The nice thing about the effect being so conditional is that you really don't have to power down the things you put it on much at all. The obvious downside to that is it's not very exciting at all. The Timmy-Spike in me wants to give this a try, but I suspect that it won't fire enough to justify the amount of text involved. What do you think? "When you cast this, look at the top card of your library. You may exile this to cast that card immediately for up to [cost] less." That's more consistent. I like that. 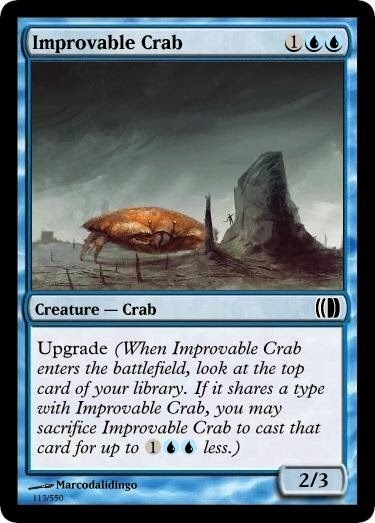 It's fine in U/G, but is also a "more balanced cascade" which would work very well as a mechanic to fit Izzet's flavor (in the way that Overload didn't). 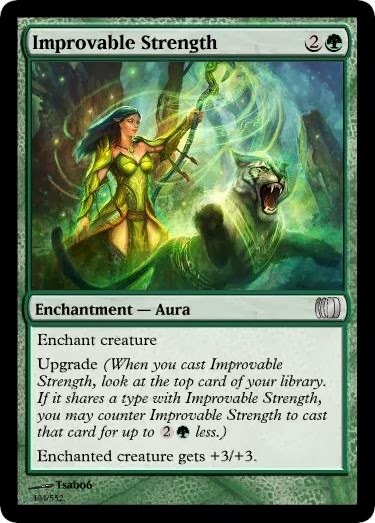 I suspect it does let you cast Hypergenesis since the limitation of having no mana cost is that it can't be cast, and this effect lets you cast the card you find. Should be same ruling as cascade. Pretty good. I'd enjoy playing it. Though you may be right it's not interesting enough to be worth it. It may be irrelevant too often, but I'd give it a try before condemning it. To help mitigate the problem I'd stick it in a set with lots of Scry-like library manipulation and only put Upgrade on creatures at common. 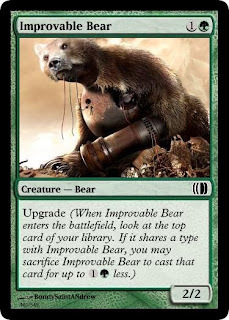 I worry that low skill players will want to save their upgradable bear until later in the game so they won't miss out. Could we at least add "If you don't, you may put that card on the bottom of your library" so that it always does something? I really really like the space this mechanic is aimed at, but I really fear this is too conditional. Also, how many players will know what you have to pay if you can play a 2W spell for 1G less? The only way I know is because of reminder text on a 10 year old card (Edgewalker), and for what its worth, I remembered it backwards! It seems that Edgewalker has done more harm than good. From my understanding, Edgewalker's "reminder text" is actually specific rules text, and that colored cost reduction does in general apply to colorless quantities (ie 2W - 1G = W). I can't perfectly put myself in new players' shoes, but I imagine they will (correctly) default to assuming the best-case scenario most of the time. Scrying the revealed card onto the bottom, Clash-style, helps it be all-upside. That increases the power level, but it's definitely within-the-discussion to do. 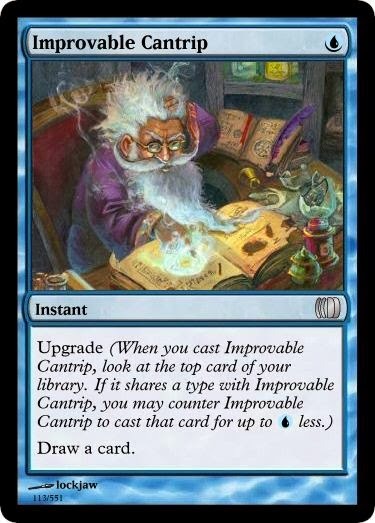 If this turned out to be an issue, you could always limit the effect to spells of the same color, which resolves the vast majority of possible issues. It probably is an issue: I wouldn't expect most players to know 2W - 1G = W. Would help a little if upgrade automatically converted the mana up (to GG) and even more if converted it down (to 2). Thought about adding the put-to-bottom option, but it makes an over-long keyword even longer. Would be nice though. the way that it works is that 2W - 1G = 1W even without the "This effect reduces only the amount of colored mana you pay." clause don't ask me why. it is that way, and has been that way since they updated the rules in scourge for edgewalker. "If a cost is reduced by an amount of colored mana, but its colored mana component doesn’t contain mana of that color, the cost is reduced by that amount of generic mana." Maybe make it like scry, where it has a variable looking at a number of cards on top of your library. 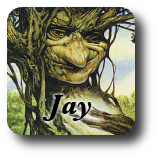 you need to specify card type or creature type. I'm guessing card type but it isn't clear in the reminder text. Left that intentionally vague for the proposal, but yes, the final mechanic would have to clarify "card type." I don't think this would be fun to play. 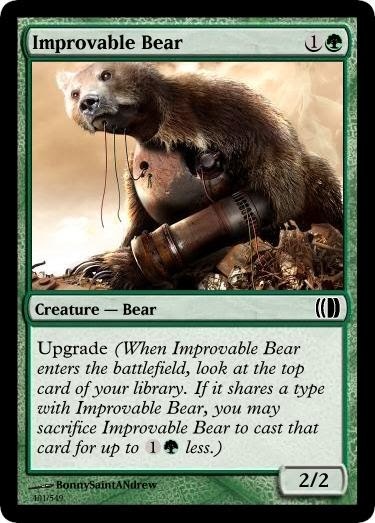 If I play this on-curve, it's trigger is just a "hey, look at what you can't cast", and more annoyingly is that if the bear hits a bigger bear, but the bigger bear is too big, then you can't cast it because the reduction isn't enough. It seems the threshold of when this mechanic would actually hit is so rare, it'd just miss most of the time. And that's not even thinking the times when you play it with enough mana to cast *anything* and you get a land. Or a sorcery. I think the trick is not to have it be an ETB trigger, but rather, have it be something you can sacrifice as you cast something, so it's like a reverse convoke.